This style features a 3-1/2” deeper armhole sleeve. Front has diagonal side dart. 1) Draft deeper armhole and wider shoulder as indicated. Draft side dart line; then mark sections A to C. Close up front and waist darts, spreading side dart as shown in diagram 2. 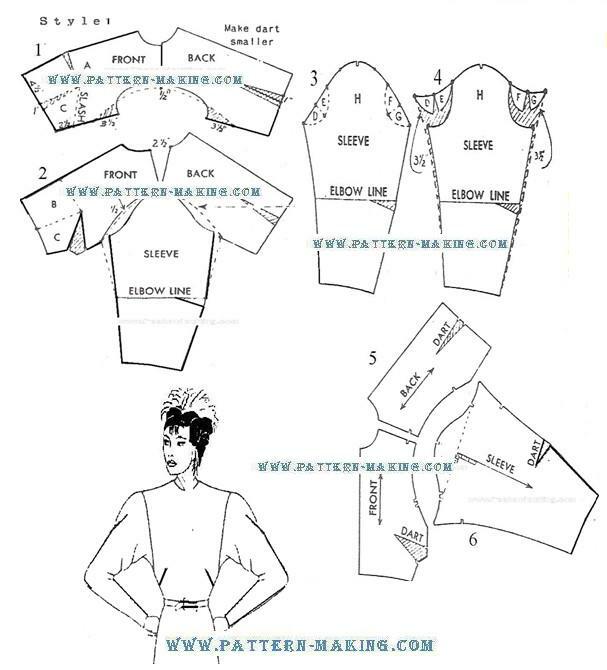 2) Cut out front and back along the new armhole lines; then trace as illustrated. Place sleeve with cap . . .